Aetna Inc (NYSE:AET) stock surged heading into the end of 2017. This is really no surprise, however. After all, CVS Health Corp (NYSE:CVS) bid $69 billion, or more than $200-per-share, to acquire the health insurance giant. What is a surprise is that AET stock has fallen nearly 15% since the end of January. The Department of Justice provided the catalyst for bearish rumblings. Back in February, it requested more data on CVS’ acquisition. Wall Street took this news as a sign that the Trump administration wasn’t ready to sign off on the deal. But with several other healthcare sector mergers already receiving approval, the barriers continue to fall for CVS/Aetna. Furthemore, shareholders overwhelmingly approved the merger earlier this month. Barring any regulatory issues, the deal will be completed in the second half of 2018. 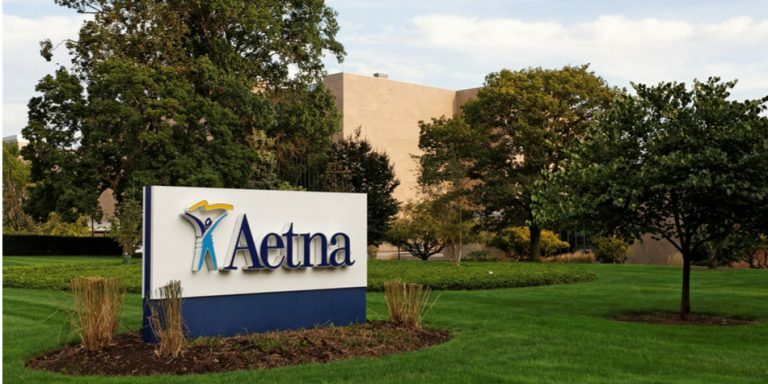 Click to EnlargeWith a price-tag north of $200 and Aetna stock trading at a significant discount near $168, now is an excellent time to bet bullish on AET stock. From a technical perspective, Aetna shares are hovering just above technical support near $165. The stock’s rising 200-day moving average is also in the area. AET stock is also on the verge of being oversold, per its 21-day relative strength index (RSI). On the sentiment front, AET still has quite a few detractors. Thomson/First Call reports that only 11 of the 21 analysts following the shares rate them a “buy” or better. Upgrades could emerge following an official stamp of approval for the merger from the Department of Justice. Meanwhile, AET stock is trading 23% below its 12-month consensus price target of $208. As for AET options traders, the April put/call open interest ratio has fallen in recent weeks to arrive at a somewhat neutral reading of 0.73. Options activity heading into mergers like the CVS/Aetna buyout are hard to read from a sentiment perspective, however. This is due to arbitrage trades ahead of the merger that are less about betting on a direction for the stock and more about exploiting differences in the stock price and the buyout offer. Overall, April implieds are pricing in a potential move of about 3.5% for AET stock ahead of next month’s expiration. This places the upper bound at $177, while the lower bound rests at $162. Call Spread: The bottom line is that AET stock set to run higher, as long as the DOJ doesn’t step in and create more trouble. Traders looking to take advantage of a rebound in Aetna stock might want to consider an April $172.50/$175 bull call spread. At last check, this spread was offered at 83 cents, or $83-per-pair of contracts. Breakeven lies at $173.33, while a maximum profit of $1.67, or $167-per-pair of contracts — a potential 100% return — is possible if AET stock closes at or above $175 when April options expire. Put Sell: Alternately, if you’re looking for a more conservative play on AET stock, an April $160 put sell has a high probability of finishing out of the money. At last check, this option was bid at 50 cents, or $50-per-contract. As usual, with a put sell, you keep the premium as long as AET stock closes above $160 when April options expire. On the downside, if AET trades below $160 prior to expiration, you could be assigned 100 shares for each put sold at a cost of $160-per-share. Article printed from InvestorPlace Media, https://investorplace.com/2018/03/aetna-inc-stock-rebound/.